Greetings friends and fellow crafters. The holidays are upon us and before you know it 2019 will be here. With that in mind this week at WRC we are spotlighting New Years projects. 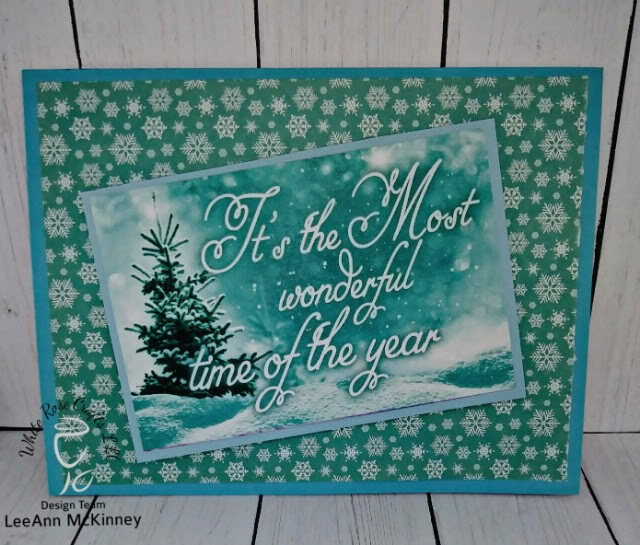 I decided to continue using cut aparts and paper from the December 2018 Card Kit (shipping now) and came up with 2 cards. I could have done more but really ran out of time (my fault, I took time off work and spent it with my grandchildren at Busch Gardens, then when I had my real day off I had house stuff to do before husband leaves again for another week or two). 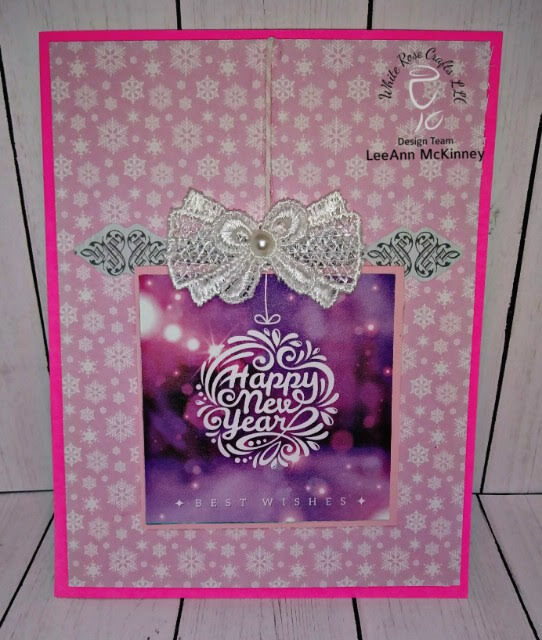 For this first card I used pattern paper from the kit, one of the cut aparts, a peeloff from the sticker sheet a bow and then some bakers twine from my stash. For this card it was literally just pattern paper and a cut apart, all layered and added to a card base. To be honest, sometimes these quick and simple cards are just as nice as the stamped, colored, and all. I think adding anything to this image would have detracted from the scene. So New Year New You... for me, I am not going to stress... I have had way too much stress in 2018 and I am ready for it to end. Some of it was self imposed and other was brought by others. I just have to LET IT GO!!! So, for 2019, I will be letting things go more, rather than holding them in and letting them drain me. Craft wise, I plan to try at least one new technique a month, make at least one process video for you tube a month as well.